About 15 young Aboriginal students from the Croker and Tiwi Islands recently attended a readiness and resilience-style camp to help prepare them for boarding school. The camp equipped students with many of the skills needed to make a successful transition from their remote community school into a variety of local and interstate boarding schools. The week long camp themed ‘Strength through Challenge’ was run by the Transition Support Unit for the first time under the Indigenous Education Strategy. Transition Support Officer, Shannon Killer said students’ wellbeing and engagement in learning was critical to ensuring a positive transition to boarding school. “Establishing positive relationships, building strong home-school connections, nurturing cultural recognition and building the resilience and strength of a student to navigate their educational journey is really important,” she said. Students attending the camp undertook a variety of confidence building activities such as kayaking, mountain bike riding and canoeing. Students, including Winston from Croker Island, also participated in group-based workshops designed to highlight their strengths and develop strategies for dealing with common challenges such as homesickness. “It was lots of fun. We went swimming, canoeing, rock climbing. We learnt to communicate,” he said. 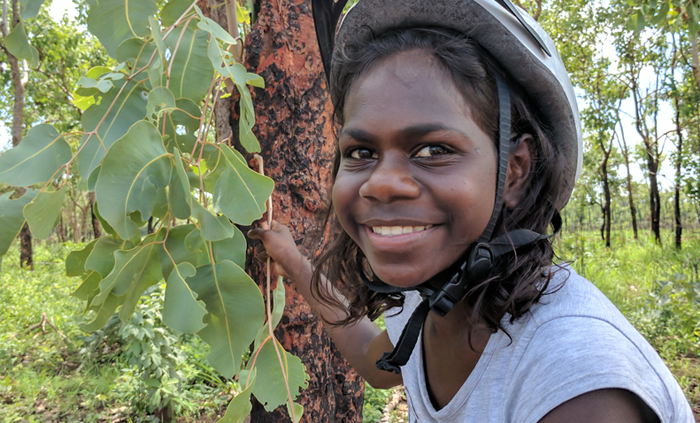 Jeanette, a student from the Tiwi Islands, said she enjoyed the flying fox and support activities best. “We looked at who is supporting you; the teacher, the principal, counsellor and friends,” she said. For some students attending the camp it was only the second or third time they had left their community but they used the opportunity to make important connections and friendships with each other.